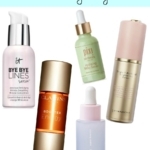 Although I love testing all types of skincare, eye creams are among my favorites. A good eye cream can be life-changing! 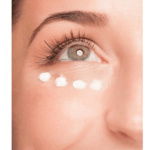 Maybe that’s a little dramatic, but eye creams really can make a noticeable difference. And when your eye area looks good, it sometimes changes your whole perspective. Here are four new eye creams that you need to know about. SKII is already on my list of Top 10 Eye Creams and the newest one, Facial Treatment Essence – Eye ($95) is easily one of my new favorites. The formula combines the power of Pitera™ , SKII’s signature ingredient, with their new Eye Albus Complex, which consists of two plant extracts, White Lupine and Alfalfa. This combination helps to improve the five dimensions of skin around the eye– texture refinement, firmness, radiance, enhancement, dark circles, and fine lines. Personally I love an eye cream that addresses multiple issues, because it’s rare that we only have dark circles or fine lines or bags. 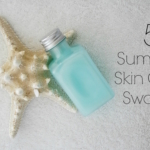 The texture is a light lotion, which absorbs quickly and has a light scent. I’ve had good results with SKII Facial Treatment Essence – Eye and would definitely recommend this eye cream if you’re looking for a lighter textured anti-aging treatment for spring-summer. From Clarins, Total Eye Concentrate ($83) also is based on plant extracts including Harungana plant extract, which has been scientifically proven to be more effective and less irritating on the skin than Retinol. It acts on all signs of aging, restoring skin density, reducing deep wrinkles, dark circles and puffiness. Guarana extract encourages the release of fat deposits responsible for under-eye puffiness. 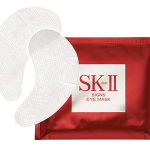 Silk tree extract helps protect microcirculation to help prevent the formation of dark circles. Clarins Total Eye Concentrate is an all-around excellent eye cream; the texture is a bit more substantial and actually contributes to the “lifting effect”. 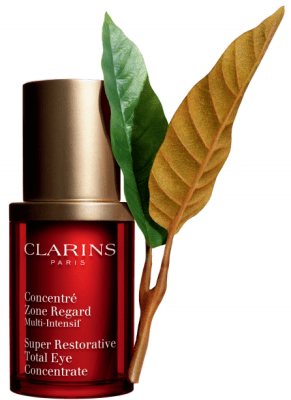 If you’re a fan of Clarins Double Serum, add Total Eye Concentrate and you’ve got the perfect combination! 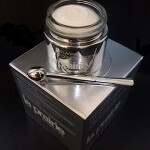 Speaking of perfect combinations, I recently shared with you La Prairie’s new Cellular Swiss Ice Crystal Emulsion (review); an anti-aging moisturizer that addresses the environmental stressors that wreak havoc on our skin. 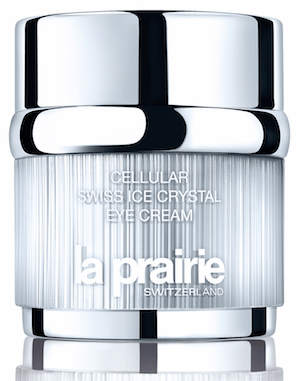 Cellular Swiss Ice Crystal Eye Cream ($225) is the companion product. This lightweight eye cream helps to fight the first signs of aging. Cellular Swiss Ice Crystal Eye Cream would be a great choice for those in their late 20’s and into the 30’s that haven’t developed the more advanced lines, wrinkles and aging concerns. It has a fresh scent that I just love and overall, this is an elegant eye treatment (La Prairie never disappoints on that front!) that is non-irritating and works on multiple issues like fine lines, dark circles and undereye puffiness. Finally, Neutrogena is out with new Hydro Boost Gel Cream Eye ($17.99). I think this is the first eye cream from Neutrogena that I’ve tried. Hydration is the big benefit here; so if that is your main concern, then this would be an inexpensive choice. Hydro Boost Gel Cream has a light gel-cream texture that absorbs quickly and would be a fit for those with oily or combination skins. The formula is comprised of Purified Hyaluronic Acid, which helps your skin retain moisture, Glycerin to hydrate and Olive Extract, which helps to lock in moisture. Neutrogena Hydro Boost Gel Cream Eye is best for those mainly concerned with needing/maintaining hydration in the eye area. It’s a nice, light choice for summer and/or for someone that doesn’t have more advanced anti-aging concerns. Are you always on a quest for the best eye cream? Let me know your favorite in the comments! I do love a good eye cream and it seems I’m always trying new brands. I was pretty excited to see this because I had never heard of these before, aside from the clarins. I have a feeling my wallet is going to be getting a work out soon. I just started using Kiehl’s Midnight Recovery Eye because everyone says how great it is for eye bags and dark circles. It’s only been a week and I’ve noticed a significant reduction in my puffiness but I still have really dark circles. I imagine those will take a while to get better. And it is light weight! 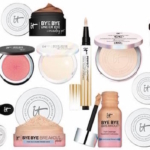 @Kate Dark Circles are so frustrating (my nemesis), and it really does take patience and a great product to see results. Good luck!